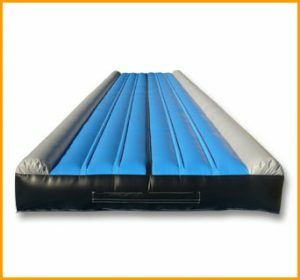 Created by popular demand, Ultimate Jumpers now manufactures gymnastics equipment (inflatable tumble tracks). Please let us know if you need size modifications to be made to the tumble track(s) listed on this page. Color changes are optional. We will have more listed on this page as we go along. 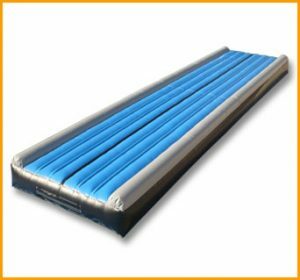 The tumble tracks as well as all other inflatable units manufactured by Ultimate Jumpers are made with safety requirements and are very durable.